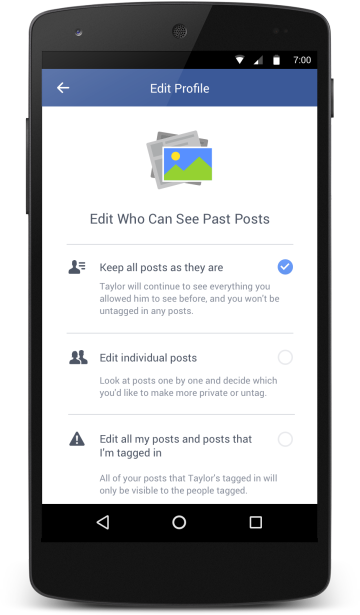 Rolling out on mobile first, the new Facebook features help you see less of former flames, and also limit your posts on their News Feeds. Wow, Facebook is getting downright emo. In a Thursday blog post titled “Improving the Experience When Relationships End” (and, no, that’s not a Morrissey song), Facebook introduced features that mitigate the awkwardness of break-ups in the social media age. If you’ve ended a romance in the last seven or eight years, you probably know that “it’s complicated” barely begins to describe the weirdness of seeing your ex’s posts in your news feed—or knowing that he or she can see yours. The new tools address all that. 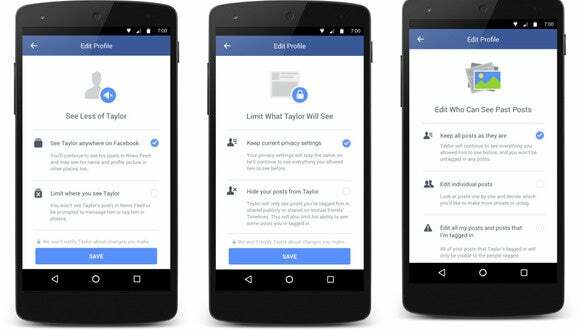 Once you change your status to single, Facebook’s emotional-insulation agents come to the rescue. One tool lets you see less of a former flame in your News Feed without fully blocking him or unfriending him. 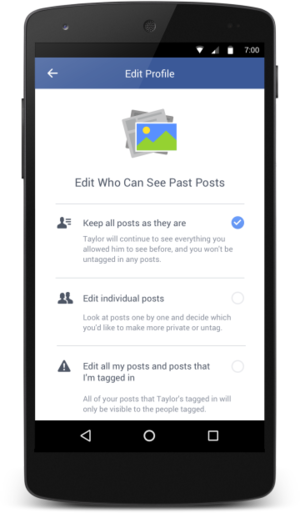 And it goes the other way: You can also limit the photos, videos, and status updates that appear in your ex’s feed. You can even edit how you’re tagged in photos. And so on. It basically lets you sever ties, without, you know, fully breaking up and actually unfriending the other person. Because you won’t give Taylor that satisfaction. Because Taylor may still love you. Because unfriending is so... final. Right?